Seasoned Tradelines » Everything you need to know in one page! Seasoned tradelines are a great tool to use, but they promote a lot of questions. The basic premise is that the tradeline (or “account”) is seasoned (or “aged”) so that when you’re added to it as an authorized user, your credit score is positively affected. Seasoned tradelines can increase your average age of accounts, decrease your debt-to-credit ratio, etc. These benefits result in an increase in credit score. This is a great FAQs page to visit prior to diving into some of the more complicated areas of seasoned tradelines. If you have any other questions, please see other categories of trade lines to the right of this text or contact us. How much can my score increase by adding tradelines? How much your credit score will increase is impossible to answer without looking at your credit report. We can only give you a few examples.This is a tough question to answer on a general basis because there are way too many factors to consider. However, we will first give you a range and an explanation why they range is so large. We’ve seen situations where our clients have gone from the mid-500s to over 800 with the addition of only 1 seasoned tradeline around $5,000.00 in limit and 8 years in age. On the other hands, we’ve seen clients only increase about 30 points with the addition of 3 very substantial trade lines (over $30,000.00 limits and over 10 years of age). This goes back to selecting the appropriate tradeline and the client allowing us to assist in the seasoned trade line selection. We’ve never see score decrease, but we have seen scores increase from a very little amount to a very large amount. It depends on what’s in your credit report, and the skill to select a seasoned tradeline to counter the deficiencies of your credit report. Where can I get seasoned tradelines with no upfront fees? This is a great question and is constantly searched on the internet with keywords such as seasoned tradelines no upfront fee, and most of the time the results are the same. Unfortunately, tradelines with no upfront fee do no exist. The real question is, what company provides tradelines with upfront fees and provides protection for my money as well? Superior Tradelines, LLC is bonded with the State of Florida with a $10,000.00 surety bond and have a trust account regulated by Section 817.7005, Florida Statutes. To our knowledge, we are the only company in the entire company to comply with federal and state law, not to mention maintaining a bond of $10,000.00. No one operates with a pay after post business model, so the real question is, where is my money safe? We hope you answer that question stating Superior Tradelines, LLC. How long does it take for scores to increase once you add seasoned tradelines? If you have selected an appropriate seasoned trade line and if the company who promised the services of adding the seasoned tradelines actually delivers, the score increase is instantaneous. That is to say, as soon as the seasoned tradeline hits your report, your score should increase right away. The real question is, “how long does it take to get the seasoned tradeline onto my credit report?” This can take anywhere from 15 to 45 days, and it shouldn’t take longer than that. If the company, adding the lines, takes longer than 45 days, there are issues happening behind the scenes that have nothing to do with adding the lines. These mistakes or issue include mismanagement on the part of the company, or fraud alerts or security freezes in your credit report preventing the lines from posting, etc. How much do seasoned tradelines cost? Quite often, clients ask, “how much seasoned tradelines cost?” This may seem like a long-winded answer, but you deserve thoroughness. Seasoned tradelines range in price considering age, limit and balance. So, the price is not relevant unless you know what tradeline you need. You don’t know what tradeline you need unless you determine the deficiencies of your credit report (high debt to credit ratio, limit revolving accounts, etc.). So, the real question is “what tradeline do I need and how much does it cost?” That question can only be answered after a full analysis of your credit report, which takes into consideration your credit goals. People often search for “cheap tradelines” or “inexpensive seasoned tradelines”, but cutting these corners, you will likely end up disappointed with the results. How much does it cost for a seasoned tradeline? The answer depends on what you need. As a general guide, our prices range from $600.00 to $1,400.00 each. Is it possible to improve credit scores with seasoned tradelines? Yes, it is possible to improve credit scores by adding seasoned tradelines. However, like many products, nothing is 100% guaranteed. If any person or company tells you a different story, that person or company is lying to you. For example, what if you have 20 revolving accounts and only 1 auto, 1 mortgage, 1 installment, etc, if you add another seasoned trade line (or revolving account) is not going to do much for your score. Another example, what if you have 10 collections and 5 charge-offs? Well, adding tradelines is likely to raise your score, but you’d be lucky to receive a 5 point boost in this case. It’s important to take all the factors into consideration prior to buying tradelines. They are a powerful tool to raise your credit score, but they must be used properly. How do you add seasoned tradelines to your credit history? Typically, you add seasoned tradelines to your credit report by adding someone as an authorized user to a certain tradeline in good standing. There are many ways to add seasoned credit lines to your credit, and there are just as many ways to screw it up. The stories we’ve heard from clients who left other companies and came to us have allowed us to avoid these problems and mistakes. If explained in more detail, Superior Tradelines, LLC would compromise the trade secrets it has developed over the years. Rest assured, it is possible to get seasoned tradelines onto credit reports, and we specialize in this process. Seasoned tradelines for sale; What are they and where can I get them? Seasoned Tradelines for sale have become a search term all to its own. Because of the general nature of the terms searched, we will explain what they are and where to get them. Seasoned tradelines for sale are lines of credit, with positive payment history and you can buy seasoned tradelines from a vendor, like us here at Superior Tradelines, LLC. Buying seasoned trade lines for sale is possible, and they may be a good option for you if you are trying to improve your credit standing. If you wish to purchase seasoned tradelines, please contact us at 800-431-4741 or email us atinfo@superiortradelines.com. What is the history or origins of seasoned tradelines? Seasoned tradelines have been used for nearly 40 years by mortgage brokers and lenders. 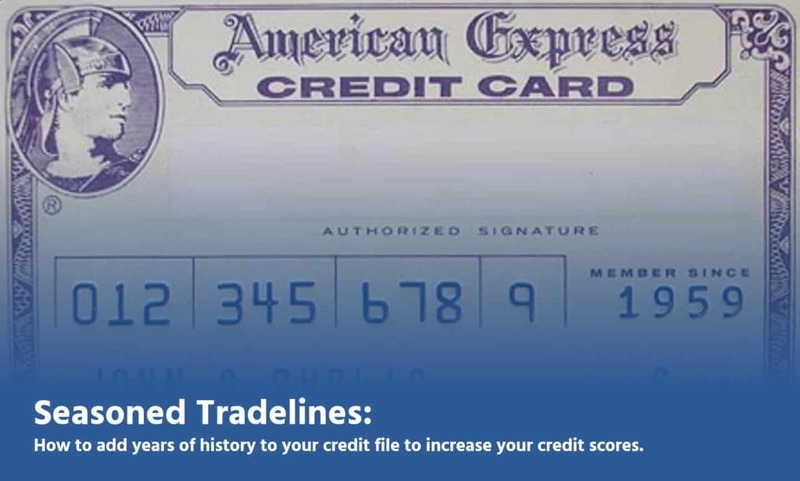 A seasoned tradeline or adding seasoned trade lines to your credit report to boost up your score became a popular way to boost credit scores because of the Equal Credit Opportunity Act 1974, which allowed the process to attach credit accounts, legally, to someone else. Hey Jay, to get pricing, you can call us anytime at 800-431-4741 or email us at info@superiortradelines.com Also, you can get access to the members portal (for free) at https://superiortradelines.com/start/ Also, you might want to check out https://superiortradelines.com/specials/ as we are currently running discounted tradelines on select inventory. As the title implies, it’s “everything you need to know” about primary tradelines. Hope that was helpful! We had another client ask this so we added it to our Seasoned Tradelines Video Series. Here’s the video concerning how long the seasoned tradelines will remain on your credit report. If it is unclear, please email us at info@superiortradelines.com or call us at 800-431-4741 for a more detailed answer. We try to get to all comments, but there are thousands of them and we may miss some at some point. At any rate, we look forward to helping you and your clients. Hi, after watching the video you shared to the previous commenter, I have a clarification question to ask. When I purchase a tradeline, how long (in months) will I be listed as an authorized user on that account? The video above was not clear on this. As a preface to my answer, please understand that being listed as an authorized user at the bank on the account is NOT the same thing as being listed as an authorized user at the credit bureaus. The answer is that you will be listed for AT LEAST one cycle. So, more than 30 days. Sometimes, you need a cycle or two. But, 75% of the time, it is just over 30 days. Then, it reports to the credit bureaus for about 90 days after that, then it continues to report, but in an “inactive” status. Could be active longer, but that’s the minimum. The quickest answer is here: https://superiortradelines.com/videos/ (look for the “How long do tradelines last?” video). The answer, there, is about 45 days, or so. Now, you mentioned something about extended times, which I can understand, but I’d like to add something new to the mix which I think you should understand. First, tradelines do best as a temporary measure. Here’s one reason why: You’re on a stranger’s account. Now, we vet our vendors, etc., but maybe something crazy happens. Maybe they get divorced and have a financial mess and miss a payment (there’s solutions for this). Maybe they work with some other company that works with CPNs and the line (which you are on) gets flagged for fraud and they freeze your credit file. So, the point is, you should use tradelines for what they are… a short term fix. Second, there’s no reason to have authorized user tradelines stay on your file that long. That’s almost admitting failure, because the purpose is to “piggyback” off of the credit boost to get into your own lines of credit (which will make your score go up and stay there, if you pay on time). Anyway, I thought I’d share those thoughts with you. I really don’t understand what you are saying about tradelines I looked at some online and they have prices from $2,600 down to $375 is that what someone’s going to pay for credit score to go up? Because if someone has to pay that for your credit score to go up you might as well just get a secured card and it stopped at your credit that way because then at least you’ll have your money at the end. Why should I have to give someone $375 or $2,600 in that fact to boost my credit score when I can do it just with a secured card? Great question. First of all, $375 is unrealistically low and $2,600.00 is insultingly high (unless it is a package of multiple tradelines). Even our best deals (https://superiortradelines.com/specials/) right now are sitting at $498.00. You can find deals for $500.00 and they go up from there. We’ve also wrote a lot about tradeline pricing here: https://superiortradelines.com/faqs/tradeline-costs/ (read the comments, too). So, why would someone buy tradelines rather than secured credit card? Credit scores determine – based on what’s in your report – the likelihood you will repay a loan. So, for example, when you get a loan and pay it back, you’re getting “credit” for doing so. 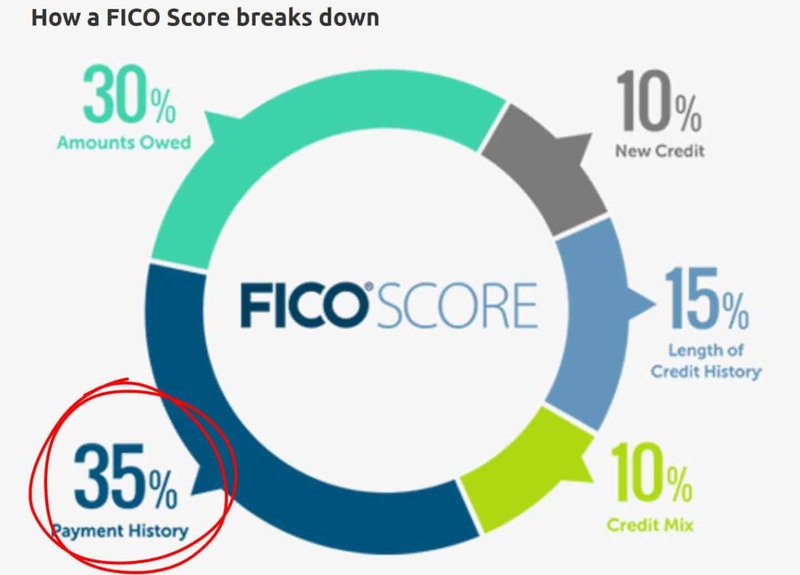 And, new lenders will see that and say “He did it before, maybe he’ll pay back my loan, too.” Then, over the years, your credit report gets really complicated and scoring models, like FICO, spit out a numerical represenation of your credit risk, based on the things in your report. The thing that has the largest impact on your credit score? Revolving credit cards, the authorized user slots we sell you. Things that have the least (if any) impact on your credit score? Secured credit cards. You’re showing zero (literally zero… it’s secured by your own money with zero risk of default) risk. No risk, no evaulation of credit risk. No evaulation of credit risk, no “credit” toward your repayment behavior. No “credit” toward your repayment behavior, no increase in credit score. Here’s another reason: Unless you have $10,000.00 in cash laying around, you’re likily going to get a small secured credit card; you will be told by your back to open a $300.00 account “just to have something.” This is shooting yourself in the foot… you will have placed yourself in “adolesent” score cards and likely making your credit score worse than before you had it. In my opinion, the only circumstances you should have a secured credit card is if you’re very young and/or have no credit at all, because – in most circumstances – you will need at least one primary account to obtain funding (regardless of how high your score goes after adding authorized users). I just threw a lot at you, so please ask further questions if I didn’t answer your question. I’m glad you’re excited. We would be excited have you as a client. Let us know if we can do anything else to help you and your credit goals. Trade lines are a powerful tool, but you want to use them wisely and we’re here to help you do just that. I’m looking for more information on how much my score can increase with roughly 4 closed accounts 1 charge off and a score reported by credit karma being 604-614… And how much I’d have to pay you today, to get this ball rolling?